The Villas of Santana Row are luxury townhomes located in the heart of downtown San Jose. Enjoy walking to shops, restaurants, theaters and more. 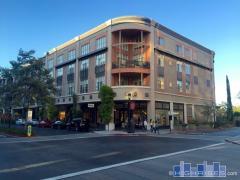 The De Forest Lofts and Margo are also part of Santana Row. Have any comments or questions about Villas at Santana Row? Ask your question and/or share your thoughts about this Building.